Welcome to the annual Regional Training Conference here at The Florida State University! My name is Rima Nathan, and I will be the chair of the California Gold Rush crisis committee. I am thrilled to have the opportunity to share this weekend with all of you as we each embark on our own unique learning adventure. The main goal of this committee is to understand how timeless issues like immigration, overpopulation, and infrastructure can be. 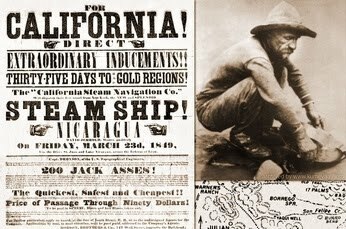 While it has been over 150 years since the Gold Rush took place, we still face many of these issues in our world today. This is why it is so important to understand every aspect of these problems and how they come to be, so that we can prevent the worst from happening in the future. I can assure you that you will need to be on your toes throughout the course of the committee and ready to adapt to unexpected situations at a moment’s notice. But I can also promise you that, more than anything, this committee will be a fun and exciting one. As a California native, I am deeply intrigued and passionate about California’s history and its progression into the future. This unique state has certainly had a lot to offer throughout the development of the rest of the country and continues to be an oddball on many domestic issues. I am very much looking forward to meeting all of you and seeing what you can bring to the table both in committee and in the world around us. If you have any questions at all in the lead-up to conference, please feel free to reach out and get in touch with me, and I will do everything in my power to get your questions answered.